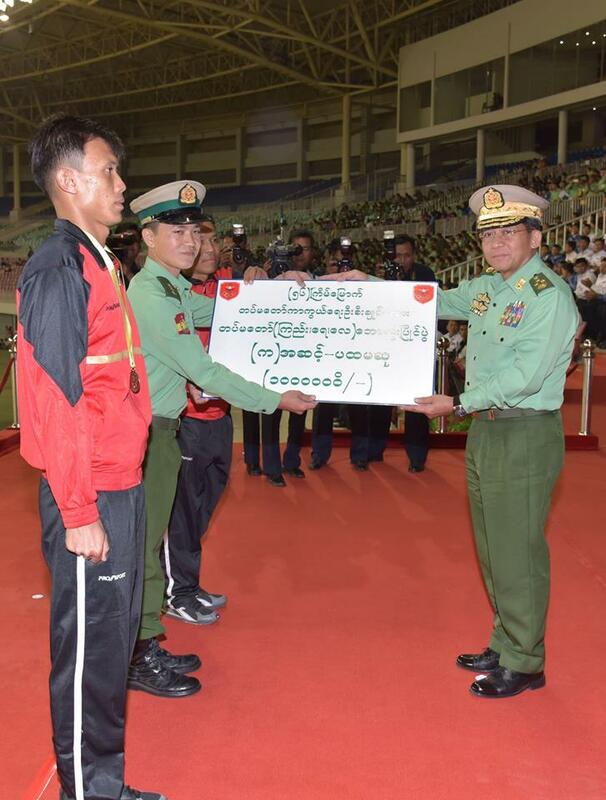 The final match between Nay Pyi Taw Command team and Yangon Command team in the 56th Commander-in-Chief of Defence Services’ Trophy Tatmadaw (Army, Navy and Air) Football Tournament took place at Zeyathiri Tatmadaw Sports Ground in Nay Pyi Taw this evening. Before the match, the Myawady Band under the Directorate of Public Relations and Psychological Warfare presented songs. During the match, players from the both teams which showed off brilliant skills with might and main made vigorous efforts to score the opening goal each other. Despite securing chances to shift their efforts to the goals, both teams ended the match with a goalless draw till the final whistle due to excellent skills of defenders and goalkeepers. 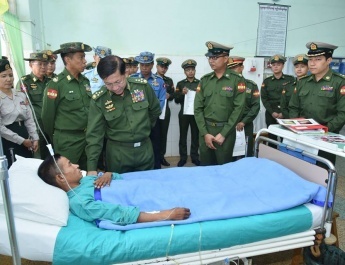 In the 30-minute extra time, although Yangon Command team put pressure on the opponent to have the winning goal, defenders and the goalkeeper of Nay Pyi Taw Command team defended the attacks of opponent team in unison. As such, the match stayed at the result of a goalless draw. 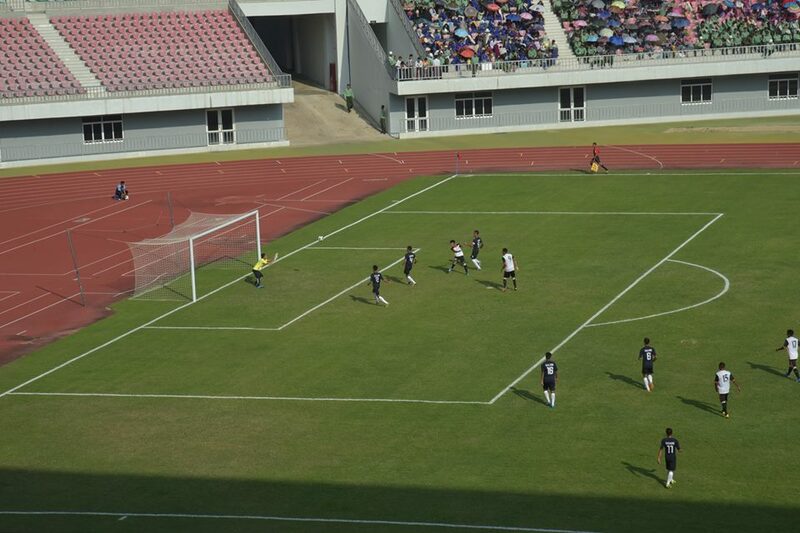 In the penalty decision, Nay Pyi Taw Command team won over Yangon Command team with a 5-4 result. 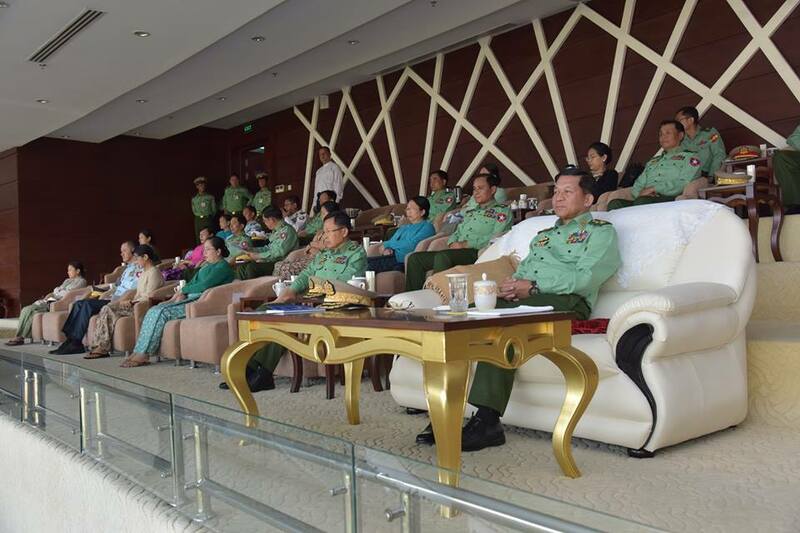 The final match of the tournament was attended by Commander-in-Chief of Defence Services Senior General Min Aung Hlaing, Deputy Commander-in-Chief of Defence Services Commander-in-Chief (Army) Vice-Senior General Soe Win, the Union Minister for Border Affairs, senior military officers from the Office of the Commander-in-Chief and their wives, the commander of Nay Pyi Taw Command and wife, senior officer trainees from the National Defence College, officers and other ranks from the offices and departments of the Commander-in-Chief (Army, Navy and Air) and families, officers, other ranks and families of stations in Nay Pyi Taw Command, invited guests and spectators. Then, the prize presentation ceremony followed. Quarter-master-General Lt-Gen Nyo Saw presented cash awards and individual medals to players from the third prize winning No 44 Light Infantry Division team in the B class event and Central Command team in the A class event of the football tournament, Adjutant-General Lt-Gen Hsan Oo, second prize winning South-East Command team in the B class event and Yangon Command team in the A class event of the tournament and Lt-Gen Aung Kyaw Zaw of the Office of the Commander-in-Chief (Army), first prize winning Central East Command team in the B class event and Nay Pyi Taw Command team in the A class event of the tournament. Commander-in-Chief (Air) General Maung Maung Kyaw presented individual trophies and cash awards to best players in respective places in the B class event, Chief of the General Staff (Army, Navy and Air) General Mya Tun Oo, best players in the respective places in the A class event, and Union Minister for Border Affairs Lt-Gen Ye Aung, fair-play award winning South-East Command team in the B class event and Eastern Command team in the A class event of the tournament. 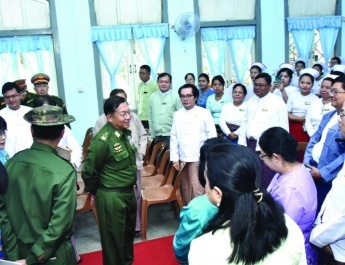 Vice-Senior General Soe Win gave championship trophy of the Commander-in-Chief of Defence Services, duplicate trophy and cash awards to Central East Command which won the first prize in the B class event. 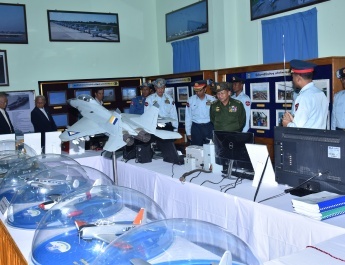 Senior General Min Aung Hlaing presented championship trophy of the Commander-in-Chief of Defence Services, duplicate trophy and cash awards to Nay Pyi Taw Command team which secured the first prize in the A class event. 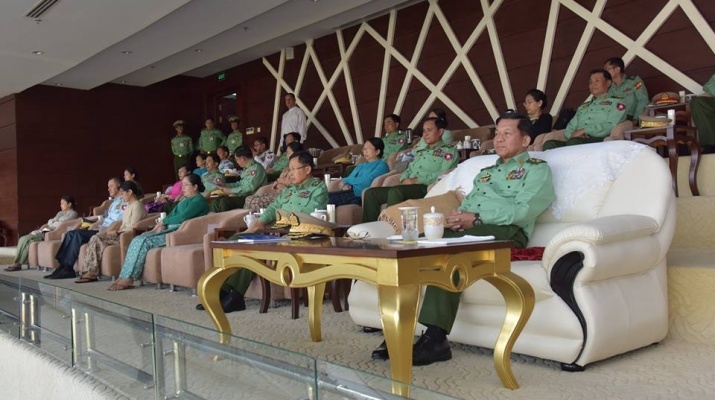 The 56th Commander-in-Chief of Defence Services’ Trophy Tatmadaw (Army, Navy and Air) Football Tournament was classified as A and B events. The first round matches were held in respective zones of the military commands. The second round knockout matches and finals took place at Zeyathiri Tatmadaw Sports Ground in Nay Pyi Taw starting from 29 December 2017 with participation of eight football teams each. The tournament successfully ended today.